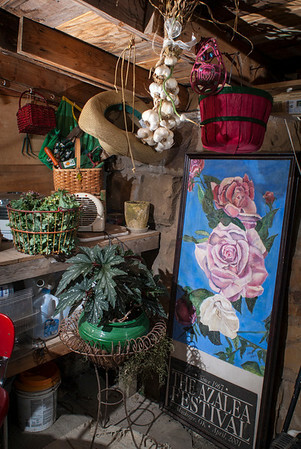 Trudy Sudberry’s rock garden shed houses drying garlic, garden tools and supplies and garden-themed art. B.P. Sudberry rebuilt the shed, which little more than three crumbling walls when the Sudberrys began working on La Ferme.